The Institution of Engineers, Sri Lanka has been providing CPD programs for engineers and other professionals interested in their career and personal development over many years under the guidance and supervision of CPD committee.CPD Committee, which is one of the Standing Committees of the IESL is chaired by the Vice President. The programs are coordinated by the Education Division of the IESL secretariat. The CPD programs are conducted mostly in the evenings and at weekends, so that the participants can attend the lectures and other activities without disrupting their normal duties. There are programs available in specific subject areas as well as important common topics such as management, communication skill development, Health and Safety , code of ethics etc. The resource persons for CPD programs are carefully selected from the best available in the country, and the feedback from the participants is used to continually improve the programs over the years. 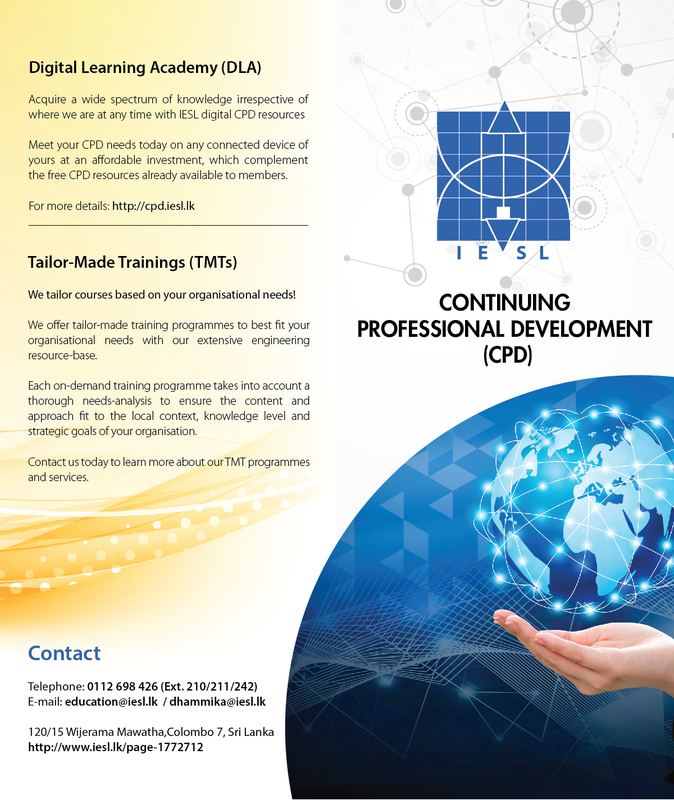 CPD courses are developed based on input from periodic surveys among members of IESL, industry trends and other directions from the CPD Committee.